Election Day is November 3, 2015! If you live in Pennsylvania, don't forget to vote on November 3! Your vote matters more than ever, especially when it comes to the policies that affect women, girls, and families like the ones we serve every day. On November 3, statewide elections will be held for positions on the State Supreme and Superior Courts. 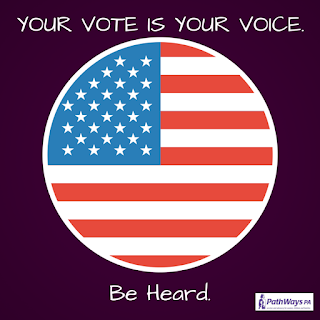 There may also be municipal elections (such as for mayor and City Council) and school board elections in your town. Some municipalities will also have special ballot questions. You may be able to find a list of people running on your ballot at http://www.vote411.org/ballot.